Nifty Daily Chart: On the daily chart, Nifty failed to trade above the 5800 mark yesterday. 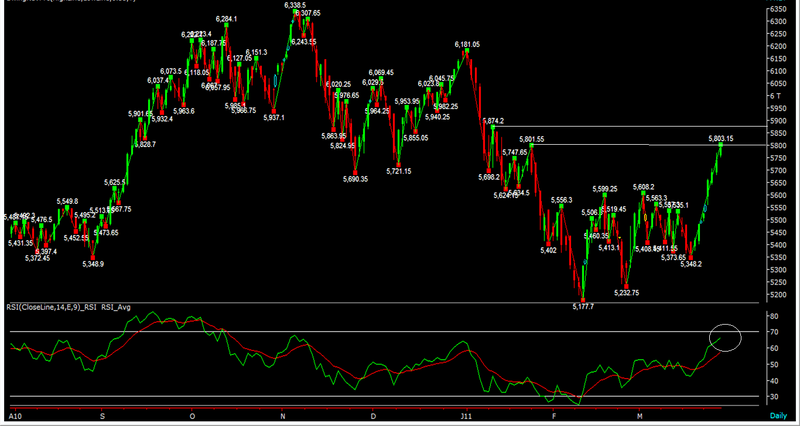 RSI still provides room for little move upside, may be upto the next resistance level at 5875. We expect wild swing in the late sessio due to FNO expiry.